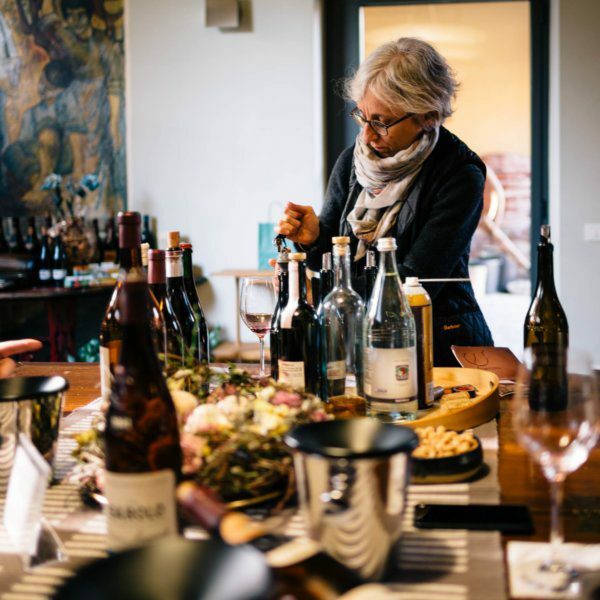 Cavallotto’s wines are more readily available in the United States than some of our other favorite Piedmont producers, but we can’t wait to go back and spend more time with Alfio at his amazing estate. They’re currently available in very limited quantities at Biondivino Italian Wine Boutique and ready to ship anywhere in the USA. Join us and meet Alfio in person! He’ll be pouring his wines at Biodivino in San Francisco on Saturday, March 9 from 5:30-8pm ($20 tasting fee). 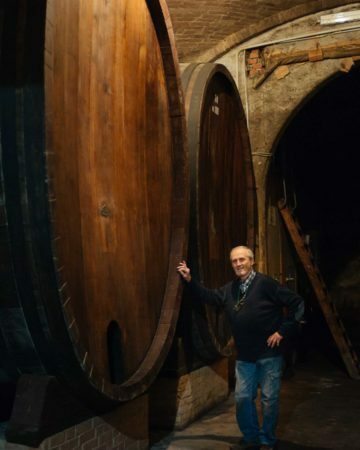 Alfio Cavallotto is the fourth generation to make wine from the Cavallotto family’s Bricco Boschis cru. Located just outside the town of Castiglione Falletto, Cavallotto produces Barolo, Dolcetto d’Alba, Barbera d’Alba, Langhe Nebbiolo, Langhe Freisa, Langhe “Grign” (made from Grignolino), Langhe Chardonnay and “Pinner” made from Pinot Nero grapes. Alfio is friendly, kind, modern (he drives a Tesla), and objectively good looking, so we were more than happy to spend a few hours with him exploring his beautiful estate. The views from the top of the Bricco Boschis hill, where the family’s home and cellars are located, are spectacular and provide an education in viticulture in the Langhe. The hill spreads out into an amphitheater below, and Alfio pointed out how the vineyards are planted to different grapes depending on the vineyard orientation (in general, southwest is ideal for Nebbiolo, so vineyards that face other directions are planted to Barbera, Chardonnay, or Dolcetto). Long ago, growers would plant Nebbiolo on vineyards where the snow melted first in the spring, as these were determined to have the ideal orientation. The views are so stunning that it’s not surprising we found two patio chairs on the edge of the vineyard, where Alfio said his parents often sit to gaze over the Langhe hills. The Cavallotto cellars are expansive and meticulously clean. 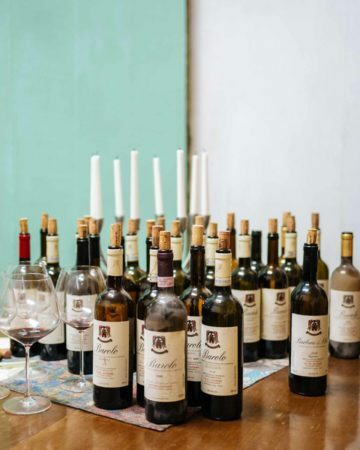 As with all Italian wines we prefer, Cavallotto’s wines are aged in large botti rather than barriques and its vineyards are farmed organically. The most amazing feature of Alfio’s recently remodeled caves is the exposed dirt walls, which require no support due to the direction of the stratification in the soil, which consists mostly of clay and sand and allows the roots of the vines to grow very deep (up to 4 meters). After our tour of the cellars, we tasted through Alfio’s lineup of elegant wines. We generally don’t like Chardonnay (at least in the hands of California producers), but Alfio’s was elegant and mineral-forward, having been aged only in stainless steel. Alfio describes it as a “lighter, very easy style–a little like Chablis, and very dry without any wood taste.” His Pinot Noir, which is vinified white, was similarly elegant. As we tasted through the Barolo selections, it was amazing how the wines can be different based on what part of the same hill the grapes were grown on.